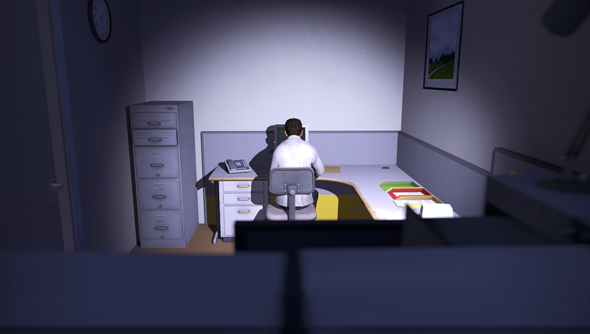 In an industry where big releases sell in the millions of copies 100,000 may not seem like much but The Stanley Parable is the work of a few indie developers and it’s far from your normal game. It’s a promising sign that we’ll be seeing a lot more from Galactic Cafe in the future. In a post mortem of Stanley’s release, Galactic reveal just how they managed it. They put it down to their prelaunch releases. “The idea of a demo seemed obvious at the time,” writes Galactic Cafe. “Since our game was very difficult to talk about without spoiling, why not simply make an extra piece of game in the spirit of the main game to convey what it’s about! […] we estimate that 150k-200k people have played the demo since it launched. It received its own run of news on most major news sites, the demo alone received video previews and was streamed by many high traffic Let’s Players. Copies of the demo were sent to all of these outlets about a week before it launched. This goes against the grain of research into the matter. Last year Jesse Schell claimed a demo can cut a game’s potential sales in half. You can play the demo, watch the trailers, and buy the game over on Steam.